Program Objectives: The Confined Space Entry program teaches the information every employee needs to know in order to avoid accidental exposure to danger when performing work related tasks. Who would benefit: Our workplace integrated Confined Space Entry training program has been designed for those with an occupational requirement to be trained to safely undertake work in confined spaces. Regulations and Guidelines: The program is designed to protect the health and safety of workers on the job site, developed in accordance with the requirements of the OHSA and Confined Space Regulations. 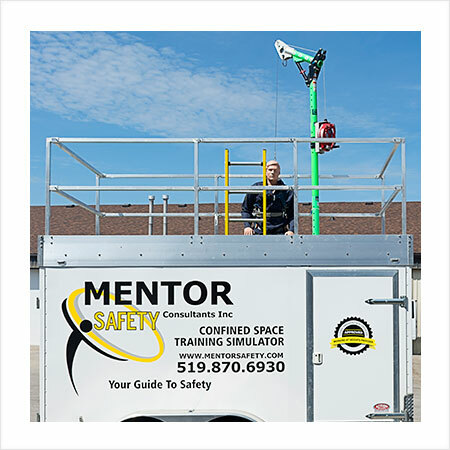 Mentor Safety uses qualified trainers with industry experience and the safe practical use of confined space entry equipment.